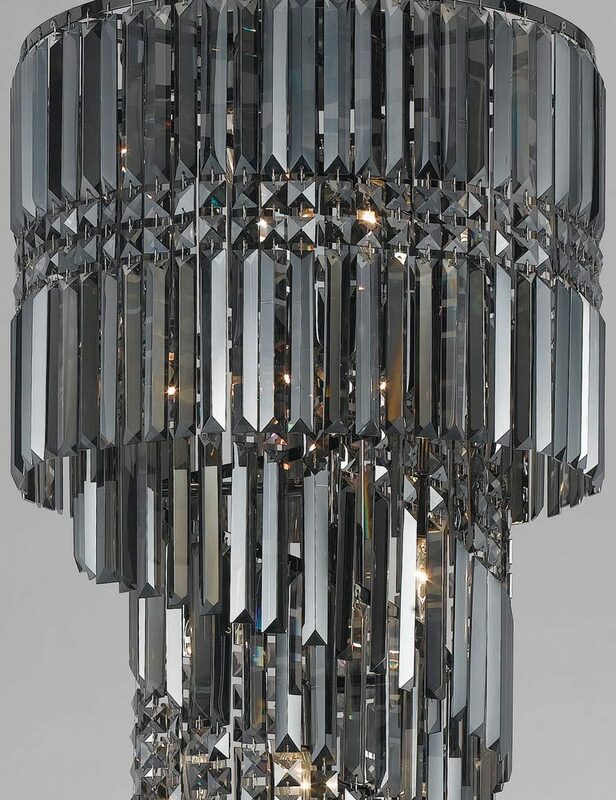 The Toronto gunmetal finish frame 14 light smoked crystal spiral chandelier is a contemporary and visually stunning statement piece light fitting. Featuring a circular gunmetal multi-level frame, dressed with an outer spiral of smoked crystal coffin drops strung together with square crystal buttons. Further smoked crystal spirals drop down through the centre, terminating at a point in the middle. The 14 light bulbs are contained out of sight inside the outer crystal curtain and refract through each crystal to create a glimmering effect. 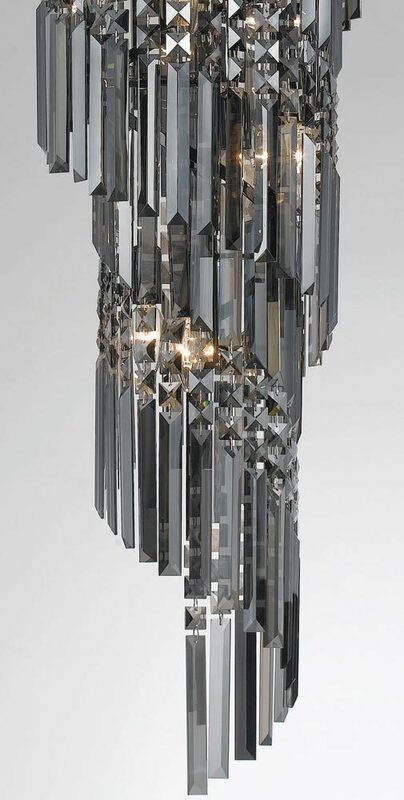 This is an artistic creation using quality smoked crystal to create a feature light fitting. A statement piece that is sure to get everyone’s attention and add that wow factor to many interiors.